A new report from the Organisation for Economic Co-operation and Development (OECD) finds there is now “unprecedented wage stagnation” and despite a stronger economy with record low unemployment rates and a far-reaching and controversial tax cut, the average wages of American workers have not budged since the late-1970s when “the average American has been stuck since the Reagan era in a predawn darkness of stagnation and inequality, and we still haven’t shaken it off,” according to Nicholas Kristof. “In June 2018, the OECD released a report titled “Inequalities in household wealth across OECD countries,” which examined the distribution of household wealth across 28 countries and it discovered that America is the number one in the world for financial inequality. About 10 percent of the American households own 79% of all the wealth in the country. While the poor and middle class, which is about 60% of American households — only owns 2.4% of the country’s wealth,” according to the site ProTrading Research. 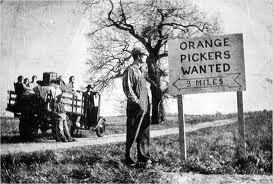 How the wage stagnation happened is no mystery. Numerous financial policy think tanks and academics have produced scores of studies, but most have been ignored by financial planners. 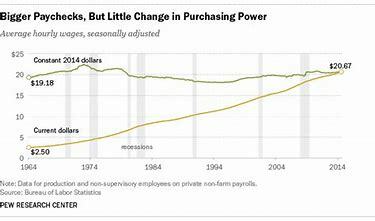 One typical explanation from the Economic Policy Institute (EPI) found that “wage stagnation for the vast majority was not created by abstract economic trends. How bad is income inequality in the U.S.? “The unequal income growth since the late 1970s has brought the top 1 percent income share in the United States to near its 1928 peak,” according to the EPI. 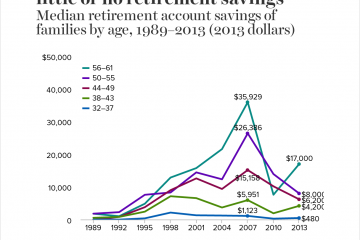 Nearly half of families “have no retirement account savings at all,” the EPI reported. A Bankrate Security Index survey found that 39% of survey respondents only have $1,000 in savings as an emergency fund. While the average American family has $95,776 in retirement savings, that number is inflated when you consider the median savings, or those at the 50th percentile, for all families in the U.S. is just $5,000, and the median for families with some savings is $60,000. according to the Economic Policy Institute. As someone who has been covering the retirement industry since the 1970s, I have never seen a flurry of positive news stories saying the financial picture for retirees has greatly improved, especially since the decline of pensions, bad decisions made in 401(k) plans, accompanied by rising living expenses that erode the ability to save for retirement. On top of wage stagnation and income inequality in the U.S., pension experts continue to reiterate that there is a retirement crisis. More people approaching retirement have smaller accumulated savings, accompanied by a poor knowledge of basic finances, to really understand the depth of their personal predicament. While these warnings have been repeated for decades to policy makers, employers, the retirement industry and elected officials, little has changed for the better. It is now time to consider this crisis a permanent fixture in American life. Worse, the financial services industry continues to offer the same tired advice as timid advisors and their investment firms encourage people to start saving for retirement earlier, save more, or reduce expenditures even as many acknowledge that incomes have stagnated. Many of these tired financial services industry recommendations confuse an expanding economy with the assumption that wages are rising. They also confuse a rising stock market with greater prosperity. Both are patently false. Financial advisors who ignore these facts as they continue to recommend products, even low-cost funds and ETFs, should seriously revamp their sales and recommendation approaches to include this new reality. Advisors who are bothered by these issues also should push their firms to make a fundamental political shift towards pushing for a more equitable wage growth policy to reduce the world’s largest level of income inequality in the developed world. But this is not part of the corporate and economic world view that considers the “unprecedented wage stagnation” a “structural problem,” in economic jargon, not a political or social one. It is part of the rise in corporatism and neoliberalism worldwide. The financial services industry is one of the biggest lobbying forces in Washington. As such, they use their money to lobby against the interests of their own clients. There is something fundamentally wrong with that and it has been going on for decades even as the industry continues to oppose the DOL’s fiduciary standard, while some global firms continued to victimize their own clients by selling look alike, high-fee products or blatantly falsifying new account applications. If the industry continues to promote income inequality and the subsequent retirement crisis through its inaction, other political forces can come into play. As Brendan Greeley, editor of the Financial Time Alphaville said in a CNBC interview (July 17, 2018), “it is hard to talk about wage stagnation without sounding like Karl Marx.” Now that is really something the financial industry should seriously ponder.